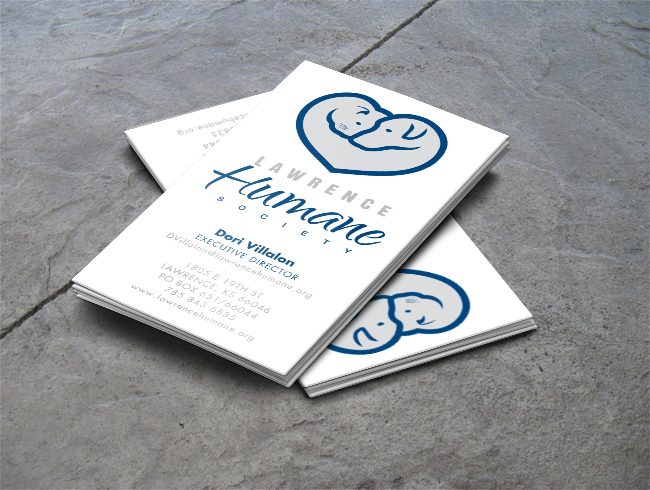 The Lawrence Humane Society's executive director asked me to design a simple invitation for a fundraising event they were having and I happily agreed to do it pro bono. My best friend was rescued by them 11 years earlier and I wanted to give something back. Little did they know how much. That simple invitation was followed by a new logo, signage, business materials, collateral and swag - all pro bono, of course. The moral of the story: Watch what you ask m-design studio for, you might get a whole lot more!